Wine Awards, sponsored by Riedel, The Wine Glass Co.
Apart from having the most interesting Italian wine selection, the wine list has also a great selection of wine from other countries and regions. A very well made wine list. La Vela constantly invest in improving their wine offering not only by offering a selection, but also its excellent wine service, serving wine in the right glassware, decanting the wine and also high quality wine storage. One of the best local wine lists. An impressive selection of wines and also a very interesting fine wine selection. Includes a nice selection of wines from lesser known regions. Serving wine in varietal specific glassware, and meticulous attention to wine service and storage. Commended Wine Lists 4 Wine lists that are original, well designed and offering a great selection. 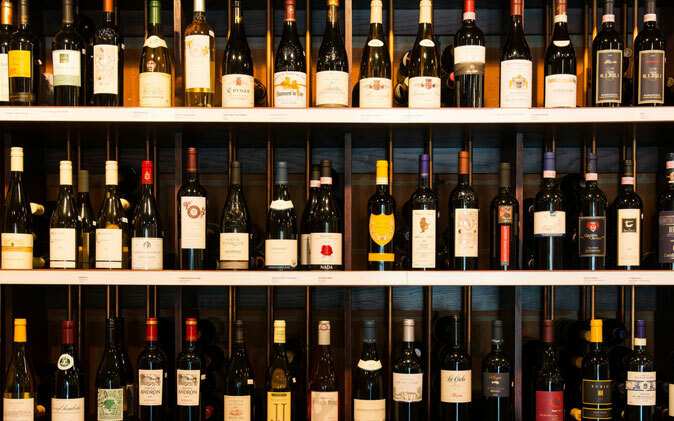 A cut above an average wine list and that deserve praise. Commended Wine List 4 – Miro (A compact wine list, but with great essence. A nice blend of wines from the important wine producing regions and areas, and with a good presence of the important producers. The wine list is very nicely presented, neat and explanatory. A good selection of different price brackets too). "Good environment, food and very friendly staff". "A place to relax and have good food any time of the week"
"Friendly service, unique food and fantastic atmosphere". "Delicious food, romantic atmosphere and incredible view from the roof top"
A "very romantic" restaurant with "delicious food". "Wednesday's candlelit dinner is a must"... Such "excellent service"
Definitely "one of the best in Malta" when "it comes to food, atmosphere and service". An "elegant interior" with a "classic twist". "Simply amazing!" By all accounts "a divine dining experience" in an "unforgettable ambience". "Very professional staff" and "immaculate service". The "food was sublime"
An "exceptional restaurant". Such "great flavours, wonderful service" accompanied by "a beautiful view and ambience"
"Always visit when we're in Gozo" as it's "one of the best". Such a "beautiful setting" with "delicious food". "Well trained, polite staff" who were "Very helpful with my dietary restrictions"
"Very promising and talented restauranteur". "Original dishes and outstanding ingredients. Impeccable service indeed". "Great hosts and everything is cooked with love and served with a smile"
"The food was superb and the staff were very friendly". "A favourite for family Sunday lunches"